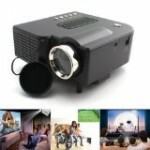 A larger sized mini projector that is packed with additional features and comes with a huge range of accessories. We love it. Perfect for home use in your theatre or gaming setup. For its size and value for money it's hard to beat this ultra-portable offering from Magnasonic. 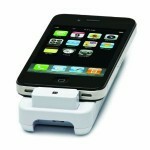 Comes included with a large range of accessories and features. 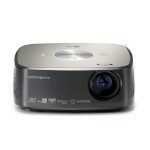 Great on-the-go mini projector that provides decent image and connectivity options for a welcoming price. It's small and light. WIFI & battery operation a huge plus. Wish it had higher resolution, but good enough for standard viewing. 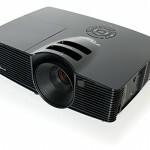 The Optoma HD141X is going to revolutionize the way you watch movies or TV shows or play video games. Just imagine doing it all on screens up to 300” diagonal. What an experience indeed! A great buy if you’re in search of a mini LED projector for home use like video playing, watching movies and personal meetings. But, it’s not recommended for classroom teaching, business teaching etc. 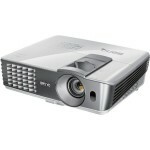 A solid business & education oriented projector that also performs well in a home setting. 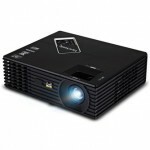 3D Ready with great brightness and a killer warranty, well worth a look. Punching well above it's weight with advanced chipset technology, impressive brightness, colours and contrast the BenQ W1070 is the perfect home theatre unit in a mini projector body. Even the home theatre purists will be satisfied. The LG HX300G is a great all-round mini projector that would make a fantastic replacement projector for your home theatre if you're upgrading to newer technology. It's super quiet, small and light weight which means you could also take it on the road or on holidays. A popular one among the staff here, we think you'll love it! Aimed squarely at the home theatre market, this is a serious little mini projector that will knock your socks off with it's image quality. One of the first real contenders for home theatre projector replacement, the Qumi Q5 is a solid buy for the home entertainment system. Check it out! 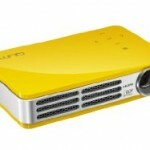 We love this unit, it's a great little iPhone projector that will definitely get used. It's the attention to detail that makes this particular mini projector great like the popup connector and the iOS software which you can download for free. Definitely worth checking this out, it's at a great price point as well!